Trina: What's in My Bag? Trina: What’s in My Bag? Trina may be known as the Diamond Princess (after the title of her sophomore album), but she also loves her pearly whites. “I’m a dental floss freak,” the rapper, born Katrina Laverne Taylor, tells Us Weekly. 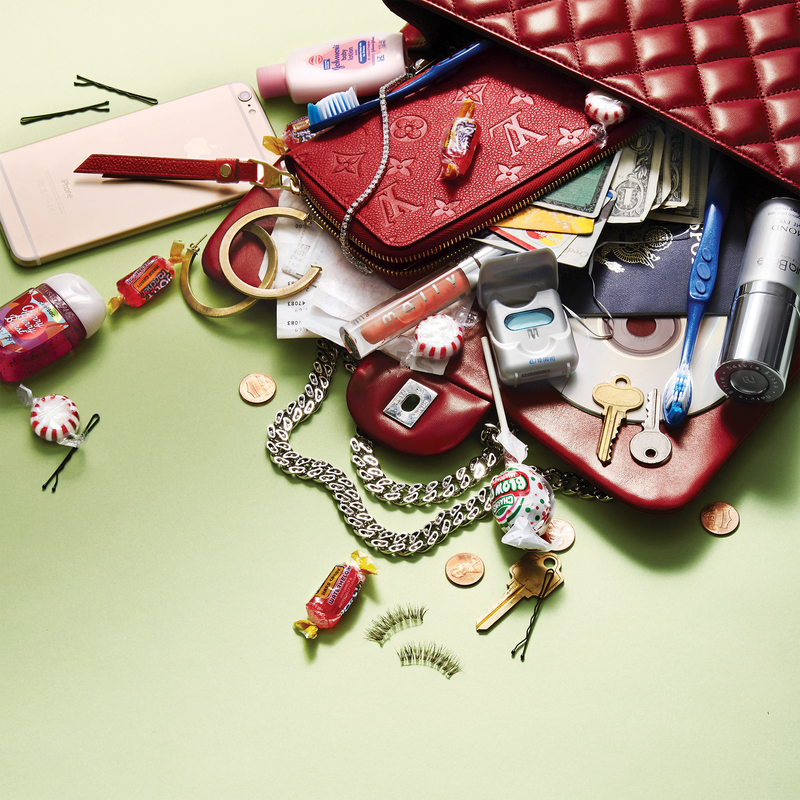 “I hate the dentist, so I take care of my teeth,” she revealed, which is why she always keep dental floss in her bag. The single Miami native, 37, whose new EscapeX app dropped in August, cleans out her quilted Chanel satchel for Us. Khloe Kardashian Hangs With James Harden in Vegas, Rapper Trina Calls "Sloppy Seconds"
What else is in Trina’s Chanel handbag? A rose-gold iPhone 6 Plus in a clear case; a red Louis Vuitton wallet with credit cards and cash; her Florida driver’s license; a little picture of her niece and nephew; spearmint gum; a discount coupon for the jewelry store Astoria Madrid in Miami; a key to her jewelry chest; a key to her suitcases; a Louis Vuitton keychain with her house and car keys; an iPhone charger; earphones; Natura Bissé moisturizing serum; a MAC lipstick in RiRi Woo; eyedrops; peppermint candy; a set of Studio 35 tweezers; five watermelon Jolly Ranchers — her favorite candy; a tiny bottle of baby lotion; bobby pins and an AT&T extra battery pack.